THE AVENGERS: ENDGAME **1/2 (181 minutes) M In the interests of not wishing to be accused of being a party pooper, the first and most important thing that needs to be stressed about the very final Marvel superhero movie ever (for now, anyway) is that not one of its 181 minutes is boring. Endgame is good, rollicking fun, entertaining to the last drop with dollops of humour and comic-book pathos mixed in with all the requisite colour and movement as multi-hued energy bolts fly about, swarms of beings do battle with opposing swarms of beings and large things explode. With the onerous task of having to bring matters to a close in the grandiose conflict between uber-villain Thanos (Josh Brolin) and the Avengers, directors Anthony & Joe Russo (Captain America: Winter Soldier/Civil War; Avengers: Infinity War) summon the super-powered roster of characters that have accrued over a staggering range of 21 films since Iron Man and The Incredible Hulk kicked off the super-franchise way back in 2008. Without giving anything away, the film’s basic premise involves the team attempting to reverse the mess Thanos made at the end of Infinity War, which saw many superheroes vanish and set the stage for him to make good on his promise to destroy half the world’s population. This he was able to accomplish by wielding a glove studded by the all-powerful Infinity Stones. So, the logic goes – well, as far as movie logic ever applies in the Marvel Universe, which is pretty loosely – if the remaining superheroes can get the glove they can amend matters and restore order to the universe. (Yes, the DNA of Star Wars courses through all these films, one way or another.) OK, so the stage is set for all the main characters to head off on their own journeys, their collective quest being to defeat Thanos once and for all. Now, everything you need from a Marvel superhero film is here in spades, including some pretty well-thought through personal moments that endow the enterprise with a surprising amount of heart given how much colossal, screen-filling action there is. The first hour especially has plenty of unhurried scenes where people are just talking about the situation and how to get out of it. However intense the FX-blizzard gets – and with a budget of around $400 million, there’s plenty of ear-splitting action and eye candy – these emotional resonances are maintained throughout to ensure that the film is as emotionally satisfying as it is viscerally saturating. This saves Endgame from being the post-content mess that has afflicted many of the first sequels in the Marvel canon, which suffered from being all noise and no heart, the worst offender arguably being the execrable Age of Ultron. With all that said, Endgame is no soul-shaking masterpiece, despite what a lot of reviews seem to be saying. Indeed, early indications are that along with it likely being the biggest film of the year – not a difficult thing to predict given how the fanbase has invested 10 years over 21 films to witness the finale – Endgame might almost be the most overrated. Again, without giving too much away, there is a major point where the film makes it very clear that it’s going to be relying on an old plot device too-often used in sci-fi fantasy films – namely, time travel. The cast even joke about it – cue the inevitable Back to the Future joke – and we laugh. This grants license for Endgame to literally cannibalise the other Marvel films. It’s neatly done, and with some wit and style, but how many times have we seen time travel ued to get film plots out of a jam? Anyone hoping for something fresh and original to propel this final adventure will be disappointed. We’ve long known how sequelitis can infect a follow-up film in the Marvel universe, and it’s a bit of a bummer to see the series use a cop-out cliche as a crutch. Truth be told, most people, of course, won’t care. They also shouldn’t care if they’ve seen all the films in the series or not. Obviously those who have will get all the references in Endgame, but it’s not as though anyone coming in cold will be lost. After all, this is a comic-book movie, not The Godfather. And as for this being the end, well, the series has made about $19 billion, and this film is projected to take about $1.5b. So, applying a bit of Hollywood math, do you think they’ll stop? Of course not. Besides, Guardians of the Galaxy 3 is in production, there’s going to be a Black Widow film, more Spider-man, more Black Panther, more Captain Marvel, more Dr Strange and, with Fox now wholly digested by Disney, the X-Men crew can now get their wrists stamped and enter the Marvel Universe. So, too, The Fantastic Four – provided they finally make a good movie, that is. So anyone who thought Endgame was the end need to draw breath, clutch tightly onto their armrests and brace for another wave of superhero spectacles. And that’s without even mentioning how Wonder Woman and Aquaman have just kickstarted DC Cinematic Universe. THUNDER ROAD **** (90 minutes) M Small-town police officer Jim Arnaud (Jim Cummings) is a good man stricken with bad fortune. After an awkward and embarrassing appearance at his mother’s funeral his life only seems to get worse. Financially strapped, he’s in a bitter custody battle over his snarky pre-pubescent daughter (Kendal Farr) who is exhibiting bad behavioural traits at school. At work he only seems to have one friend. Jim is not blameless for his lot. Frustrated at every turn, he has an anger problem he is only barely able to contain, a problem that manifests in him constantly apologising for offensive utterances. Even a quiet meeting with a teacher about his daughter demonstrates how close he is to losing it. Thanks to a great, earthy performance by Jim Cummings, who also wrote, directed and produced this award-spangled independent film, the movie offers a moving, engrossing, darkly amusing portrait of a self-effacing man living on the edge who is slowly being pushed by circumstances to a nervous collapse. With terrific performances from a no-name cast, this is another arthouse jewel that deserves attention amidst the present overload of blockbuster signage. GLORIA BELL ***1/2 (101 minutes) M As if we needed more evidence of what a great, versatile actress Julianne Moore is comes this celebratory film about a defiant spirit battling the unavoidable curse of middle-age malaise. Freshly divorced and hungry for life, Gloria finds herself in an awkward phase of life where she feels too young to be old. Hanging out in pick-up joints for older people she’s looking for some kind of connection to help her in the desperate search for a second wind. Juggling friends, her children and her likeable ex (Brad Garrett in a nice cameo) Gloria embarks on a relationship with an apparently decent gent (John Turturro), who brings his own baggage into her life. Anchored by Moore’s deeply felt performance of a flawed woman, Gloria Bell has the feel of those landmark movies made in the 1970s such as An Unmarried Woman that explored the lives of women who pushed back against stereotypes and grappled for their own sense of identity. Energetically directed by Chilean Sebastian Lelio (Oscar winner for A Fantastic Woman), the film is a remake of sorts of his 2013 film Gloria. THE HUMMINGBIRD PROJECT ***1/2 (111 minutes) M After quitting their jobs in a powerful digital trading company, two ambitious young hotshots decide to take on their old boss by building a fibre-optic cable from Kansas to New Jersey, only in a straight line. Their wild plan is to gain crucial milliseconds in receiving market-sensitive information, and thus make them rich. Their only problem: their former boss, who is unhappy with the information they have taken from her. In one of his best turns since The Social Network Jesse Eisenberg is a fiery ball of entrepreneurial energy as Vincent, pushing his brainy, laconic colleague and cousin Anton (a bald Alexander Skarsgard) to give their enterprise the technological edge it needs. Breathing down their necks like the world’s sexiest dragon is Eva Torres (Salma Hayek) who does not believe that you can take the personal out of business. She’ll stop at nothing to stop her former proteges. Full of venom, Hayek plays the corporate boss like an ultra-cool Bond villain, keen to crush her competitors under her killer stilettos. Directed with a fine sense of pace by Canadian Kim Nyugen, The Hummingbird Project joins the recent raft of unusual, unusually engrossing business films such as The Big Short, The Founder, The Wolf of Wall Street, Joy and Margin Call. Careful to speak in lay terms, the film is a solidly entertaining yarn exploring the dramas that drive the quest for dollars, as well as giving a modern-day spin on the David vs Goliath parable. CELESTE * (106 minutes) M Oh, not again. Here’s yet another dull Australian film with no apparent audience in mind and no apparent interest in keeping viewers involved. Radha Mitchell plays a retired opera singer living in a lovely house in a lush Queensland forest. She’s set to perform a special concert when her no-good son (Thomas Cocquerel) turns up needing help. There are mysteries about the backstories to these folk but the leaden direction by Ben Hackworth is so inert you spend much of the film wishing for a crocodile to turn up. 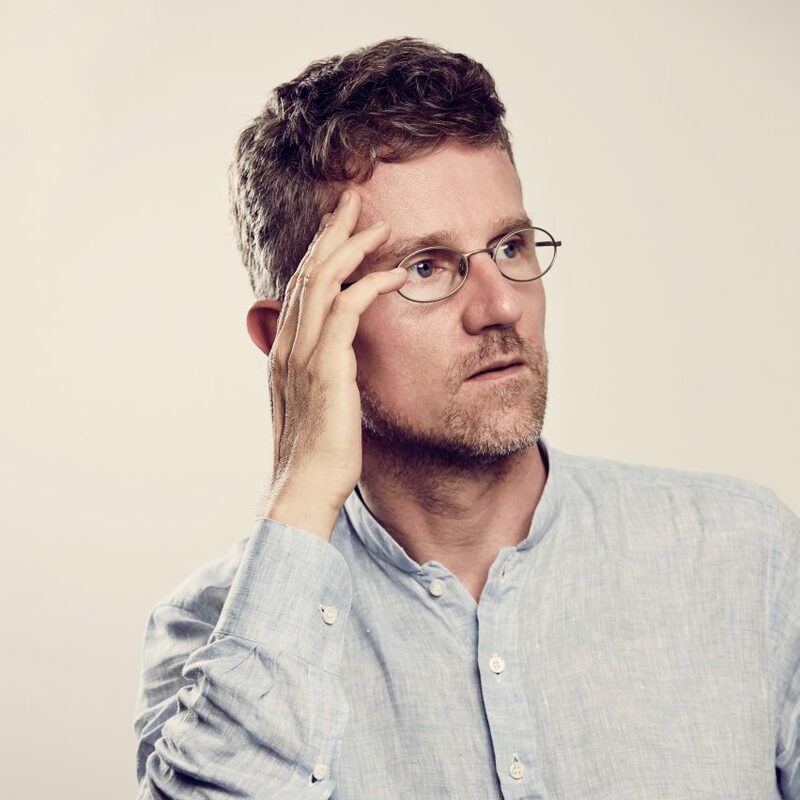 The post “China is one of the best places for experimenting” with urban technology says Carlo Ratti appeared first on Dezeen. Which Cameras Do Filmmakers Use to Shoot Movies?